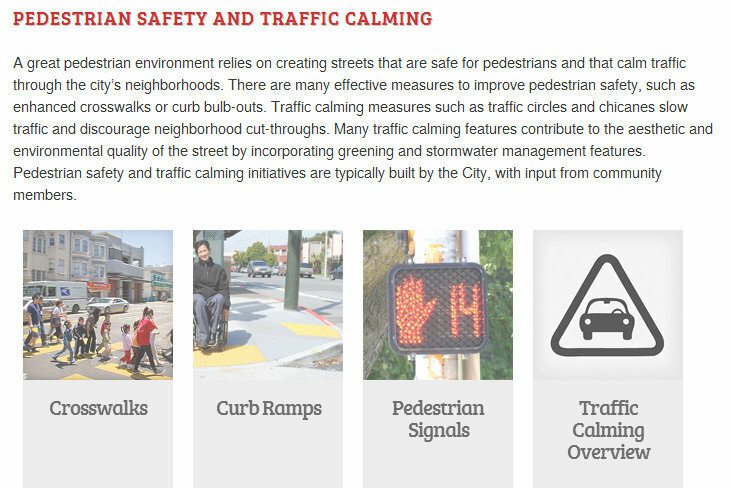 The San Francisco Better Streets Program launched a new website this week to provide a central source of information to help residents procure street improvements like traffic-calming measures, parklets, bike corrals, plantings, art installations, sidewalk fixtures, and permits for car-free events in their neighborhood. 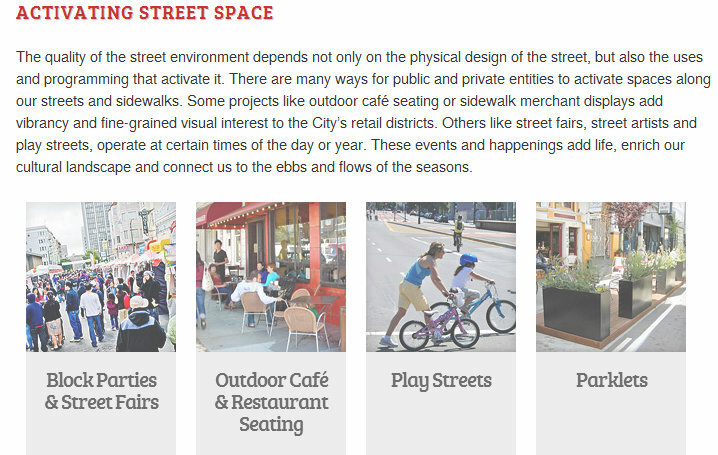 The website, sfbetterstreets.org, “combines all the city’s guidelines, permit requirements, and resources for public space development onto one site, giving the user a handy step-by-step approach toward improving San Francisco’s streets,” the Planning Department said in a release. Launched as a collaboration of the Planning Department, Department of Public Works, SF Public Utilities Commission, and the SFMTA, the site should help spread awareness of the street improvements available to residents and guide them through the city’s bureaucratic processes. The site follows the spirit of the 2010 Better Streets Plan, which is aimed at streamlining the process for making improvements to the pedestrian environment. Linsangan said the site was launched during Small Business Week since merchants often show interest in improving the areas around their storefronts. The website features alluring pages that explain the ins and outs of permit processes, maintenance regulations, planning codes, ways for residents to build neighborhood support for projects, funding sources, and more. That could help city agencies more efficiently deliver improvements like sidewalk bulb-outs, pedestrian countdown signals, traffic circles, or even major street redesigns where they’re needed. There’s also information to help building developers understand the street improvements they’re required to make. Easier access to information on permits for block parties and other street openings could make the process smoother for residents like Adam Greenfield of the Inner Sunset Park Neighbors. 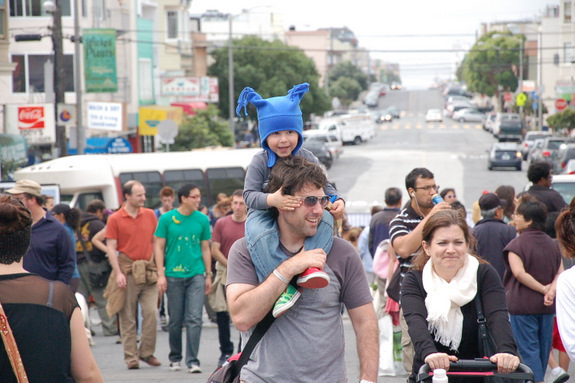 Greenfield, who helped organize the second annual Inner Sunset Street Fair last October with co-chair Chris Duderstadt, asked the SFMTA Board yesterday to explore the creation of a “new, nimble program” to facilitate more regular small-scale car-free events in the style of Sunday Streets. Greenfield and Duderstadt told the board that the bureaucratic hurdles — particularly the high fees — can be prohibitive to such community-building events. Though some residents do manage to make their way through the process, the clarity provided by sfbetterstreets.org will hopefully encourage more residents to engage in it without demanding the kind of commitment shown by Greenfield and Duderstadt.